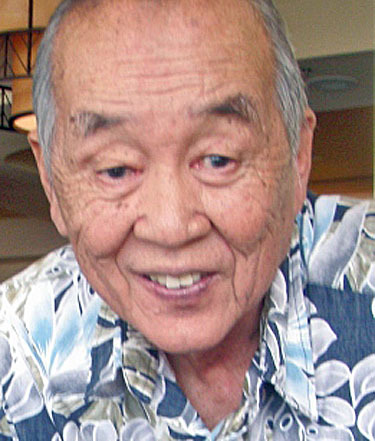 August 8, 1928 - June 18, 2016 John Ho Choon Kim died in Honolulu after a valiant fight against pneumonia. He was born in Hawaii. After his mother remarried, his family moved to Los Angeles. He attended Washington University in St. Louis, Missouri where he met his future wife, Ishi Mitori. After graduation, he returned to L.A. and married Ishi. He was drafted into the army during the Korean War. Using the GI Bill, He earned his Medical Degree at Howard University College of Medicine in Washington, D.C. An internship followed at the University of Southern California-LAC + USC Medical Center and a residency at Los Angeles' Cedars of Lebanon Mount Sinai Medical Center. In 1963, he moved with his wife and daughters to Hawaii where he worked in internal medicine at Kaiser Hospital in Honolulu. Subsequently he became Chief of Medicine there and eventually opened his own private practice. He chose to train in endocrinology and became a Fellow of the American Association of Clinical Endocrinology. Dr. Kim was appointed to the Hawaii State Board of Medical Examiners, was president of the Hawaii Medical Association and also served as Medical Director of Leahi Hospital in Honolulu. John was a serious amateur composer who loved music. He wrote everything from sonatas to opera, using every spare moment that he had. His second love was mathematics. He enjoyed reading about math and physics and discussing them knowledgably. Last year he asked for an eclectic list of books including Josephus the historian, a Hebrew dictionary, a teach-yourself-Arabic book, an advanced chess theory book, and a manual for advanced compass use, among other titles. John was an avid tennis player and golfer into his mid-80s. His wife Ishi and daughter Elizabeth predeceased him. He is survived by daughters Teresa Kim Cole, Greenfield, MA; Denise Kim Kusner of Birchrunville, PA; Patricia Kim, MD, of Honolulu and a grandson, Woden Kusner of Austria.